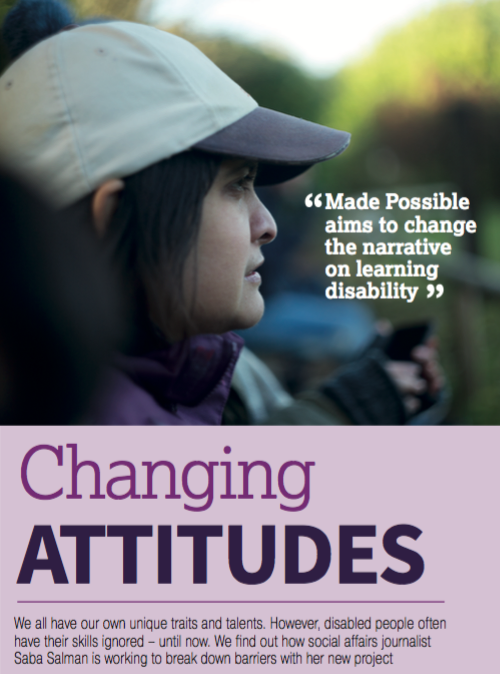 Made Possible is an attempt to challenge this and change attitudes – it’s the crowdfunded book I’m editing, featuring essays on success by high achieving people with learning disabilities. The book’s contributors have also been busy developing and working on the essays, and we’ve been unpicking the concept of success in the process. As the Enable article says of Made Possible’s theme, “success is different for everyone”, and although we’re at the inital stages, it’s already fascinating (and often surprising) to discover the essayists’ views on achievement – and who defines this. At a time when disabled people bear the brunt of society’s inequalities, from healthcare to housing and employment, redressing the imbalance and describing how people can fulfil their ambitions is more vital than ever (you can read more about the timely aspects of this book in this recent Guardian piece by scrolling down to “Why do we need this book?”). It’s also been superb to see new supporters pre-ordering copies of the book – thank you! If you’ve recently joined us, do connect if you’d like to on Twitter, LinkedIn, Facebook or Instagram using the hashtag #MadePossible. Also much gratitude to those of you already in touch and mentioning the book on social media, it’s a tip top way to keep #MadePossible on the radar. Do continue to share the Made Possible page with others you think might be interested in what we’re trying to do. To find out more, check out Made Possible on the website of its publisher, Unbound or see this page elsewhere on the blog. Scrounger or superhero – and little in between. 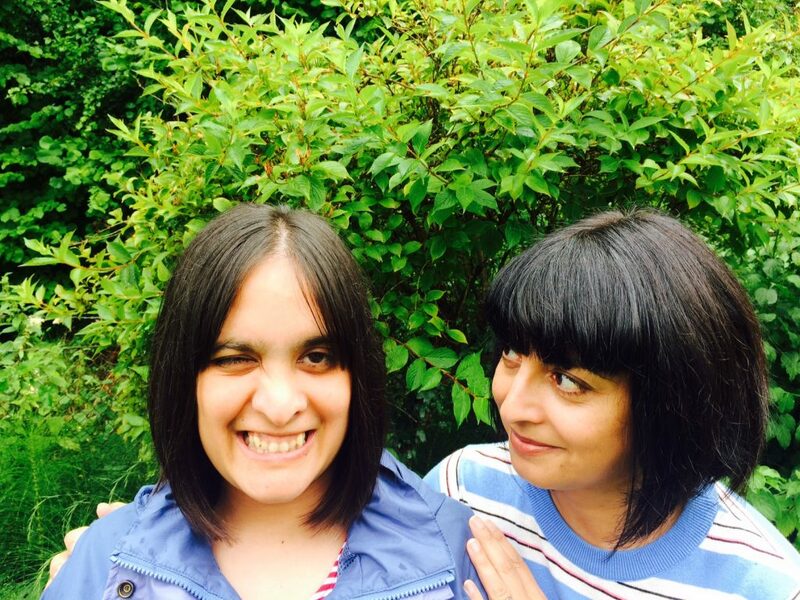 This is how people like my sister, who happens to have a learning disability, are generally seen in society and the media. 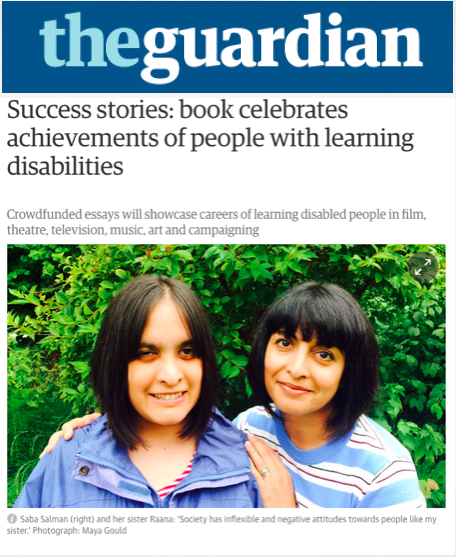 The missing part of the equation is what led me to develop the book Made Possible, a crowdfunded collection of essays on success by high-achieving people with learning disabilities. I’m currently working on the anthology with the publisher Unbound and it’s available for pre-order here. I’ve just spoken about the role of media in shaping attitudes to disability, and how and why is this changing at an event – Leaving No One Behind at Birmingham City University. The day was organised by the charity Include Me Too and community platform World Health Innovation Summit. I wanted to support the event because of its aim to bring together a diverse range of people, including campaigners, families, self-advocates and professionals (check out #LeavingNoOneBehind #WHIS to get a feel for the debate). This post is based on the discussions at the event, and on my views as the sibling of someone with a learning disability and as a social affairs journalist. I’ve focused on print and online media influences perceptions; broadcast media clearly has a major role – but it’s not where my experience over the past 20 years lies. Raana’s 28. She loves Chinese food. She adores listening to music (current favourite activity: exploring Queen’s back catalogue – loud). She’s a talented baker and has just started a woodwork course. She has a wicked, dry sense of humour (proof here). She also also has the moderate learning disability fragile x syndrome. She lives in supported housing and will need lifelong care and support. The way I describe Raana – with her character, abilities first, diagnosis, label and support needs second, is how I see her. It’s how her family, friends and support staff see her. But it’s not how she would be portrayed in the mainstream press. 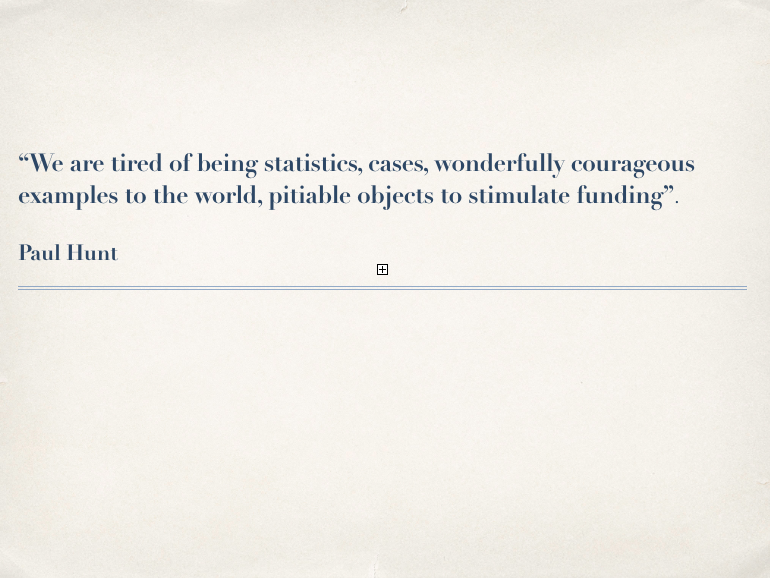 “We are tired of being statistics, cases, wonderfully courageous examples to the world, pitiable objects to stimulate funding”. Paul Hunt wrote these words in 1966 – his comment is 51 years old, but it’s still relevant (charity fundraising has changed since then, but the rest of the words are spot on – sadly). Say the words “learning disability” to most people and they will think of headlines about care scandals or welfare cuts. These reinforce stereotypes of learning disabled as individuals to be pitied or patronised. The middle ground is absent; the gap between Raana’s reality and how she’s represented is huge. 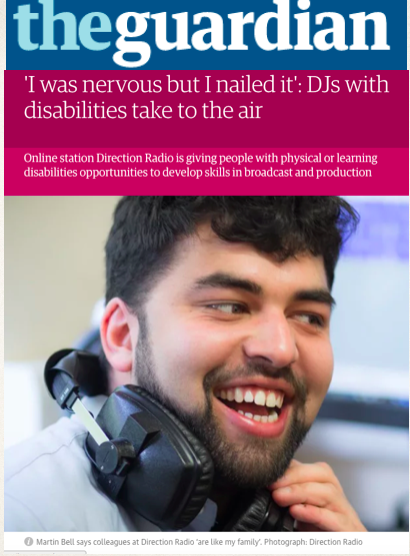 How often, for example, do you read an article about learning disability in the mainstream media which includes a direct quote from someone with a learning disability? Stories are about people, not with people. Caveat: as a former national newspaper reporter, I know only too well that the fast-pace of the newsroom and the pressure of deadlines mean it’s not always possible to get all the interviews you’d like. This is harder for general news reporters reacting to breaking stories than it is for specialists or feature writers who have just the right contacts and/or the time to reflect every angle of the story. But there’s still more than can be done – and much of it is very simple. Take the language used in news and features. There’s a huge amount of research shows how media influences public attitudes. One focus group project by Glasgow University a few years ago showed people thought up to 70% of disability benefit claims were fraudulent. People said they came to this conclusion based on articles about ‘scroungers’. The real figure of fraudulent benefit claims? Just 1 per cent. The language used in mainstream media is often problematic. I wince when I read about people “suffering from autism” – “coping with a learning disability” – or being “vulnerable”. Images used in stories often don’t help. As a quick – but very unscientific – litmus test – I typed the words “learning disability” into Google’s image search. 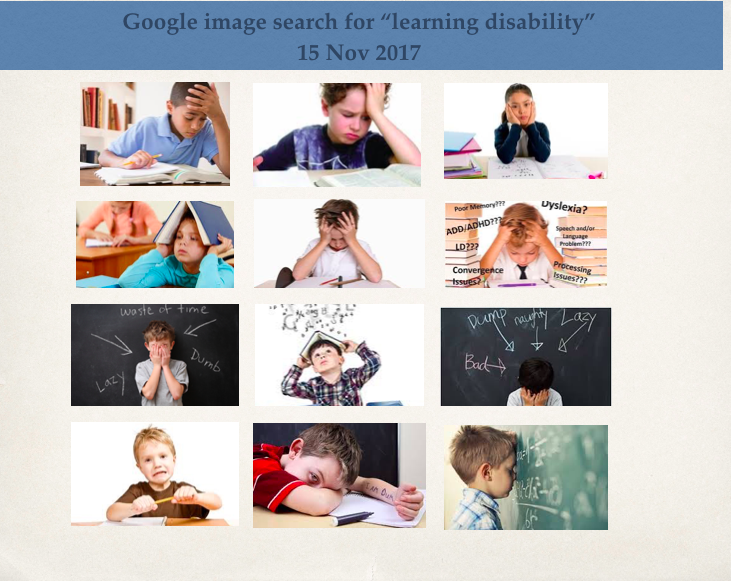 This is a flavor of what I found – the most common pictures that came up were the dreadful “headclutcher” stock image that often accompanies articles about learning disability. These images say, defeat, frustration, confusion, negativity. This is not how I see my sister, her friends or the learning disabled campaigners I know. This shot is from a story I did a few days ago about Martin, Martin’s 22 and works part-time as a DJ at a local radio station (you can read about him here). Martin also happens to have a moderate learning disability and cerebral palsy. But there is cause for optimism. There is a slow but significant shift in the representation of learning disabled people thanks to the rise in grassroots activism, family campaigning, self-advocacy and the growing empowerment agenda. Social media is helping spread awareness and spread a different narrative. This rise in self-advocacy is what led me to develop Made Possible. The book’s aim is to challenge stereotypes; it targets a mainstream readership and introduces readers to learning disabled people in areas like arts, politics and campaigning. Their achievements are impressive regardless of their disability. Am I sharing experiences that help shift public attitudes? Am I reporting people’s abilities, not just their disabilities? Am I reflecting people’s potential – what do they aspire to achieve, and how can this happen? And although I’m focusing on positive representation of learning disability, it’s worth stressing that there’s an equally vital need to highlight the challenges. Challenges like the impact of austerity, for example, or the health inequalities, or the fact that over 3,000 people are still locked away in inappropriate institutional care. The two go hand – a more authentic portrayal of people’s lives (their qualities, hopes and aspirations) and reporting the inequalities they face. 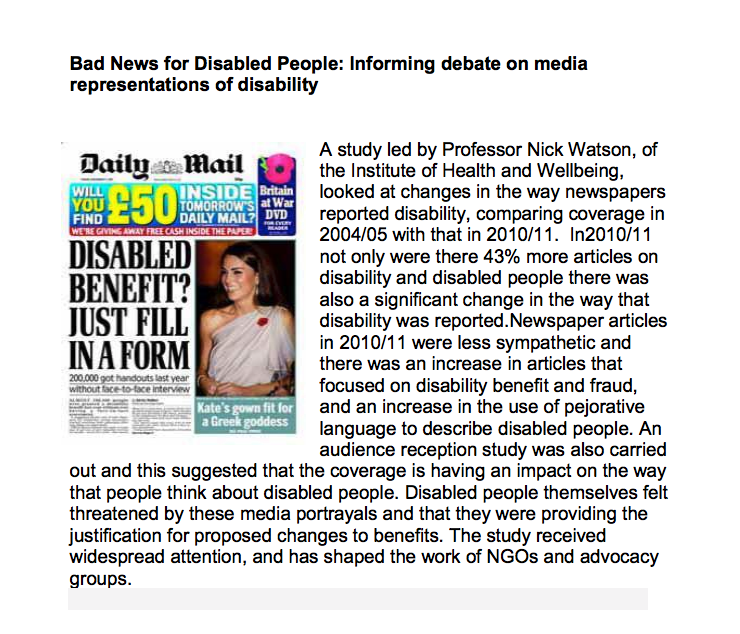 Because readers are more likely to care about the inequality and support the need to solve it if they feel closer to the real people experiencing that inequality – if they stop seeing learning disabled people as “the other”, or as statistics (as Paul Hunt wrote over 50 years ago..) and as people first. It’s often said that media should reflect, serve and strengthen society. Which means we have to be more accurate and authentic about how we include and portray a huge section of that society – including my sister – which happens to have a disability. Anxiety and mobility issues mean that 76-year-old Anna Bolton* is usually housebound. But regular calls to a free, confidential helpline for older people have helped her “feel normal”. Bolton’s mental health deteriorated after she was widowed two years ago. Although she has had some support from local mental health counsellors in her native north-east England, help from Blackpool-based The Silver Line was “invaluable” and more immediate than waiting months for a counselling referral. 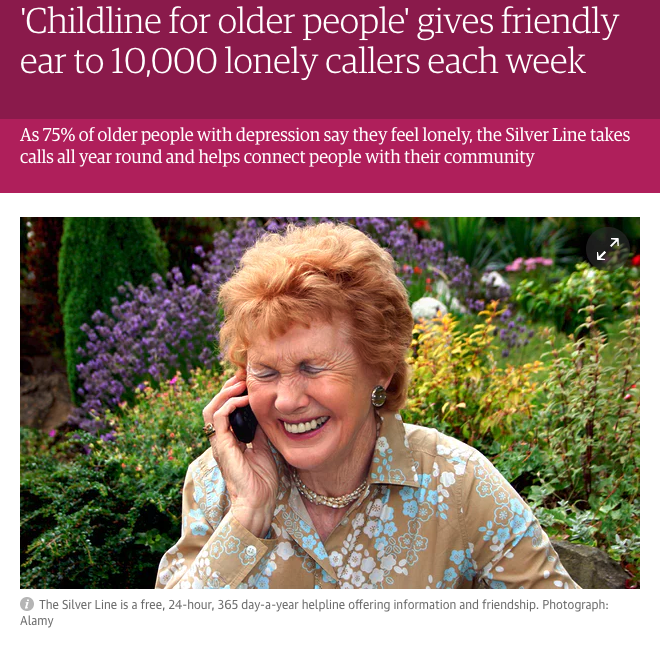 The Silver Line, created in 2013 by Esther Rantzen (who also created Childline), is a free, 24-hour, 365-day-a-year helpline offering information and friendship, and signposts people to local organisations for support or social activities. Bolton, who has no family nearby, contacted the helpline after it was mentioned by a receptionist at her GP surgery. She is among the 10,000 people who call the helpline – often referred to as the Childline for older people – every week. For my full report on the charity and the rise in mental health issues among older people, see the Guardian social care pages. Leeds Community Homes is striving for a people-powered community housing revolution, placing the new organisation at the cutting edge of housing practice. The not-for-profit group has raised £360,000 to invest in 16 permanently affordable homes through community shares (a type of share capital called ‘withdrawable shares’ issued by co-operatives or community benefit societies). With the first tenants due to move in by next April, the organisation’s #peoplepoweredhomes campaign is an innovative way to create housing developed by local people, to meet the housing needs of local people. The project wants to create 1,000 affordable homes over the next decade. People-focused housing solutions are at the heart of the People’s Powerhouse event taking place next month. The housing group’s work in Leeds is the kind of positive story of local change that we hope will inspire delegates to recreate similar projects in their own communities. More good practice like this is vital at a time of chronic housing shortage, with housebuilding falling almost 100,000 homes per year short of achieving the government’s ambition. You may have read about the People’s Powerhouse which was launched in February and originally billed in the press as “a rival ‘northern powerhouse’ conference to one that advertised 15 male speakers but no women and just 13 of all 98 listed speakers were women”. Leeds Community Homes, Plus Dane Housing and my own company, Transform Lives, are just some of the organisations taking part. We hope the People’s Powerhouse will help create a dialogue about inclusive, good growth, and its potential to transform communities and lives across the North of England. Other work worth replicating includes Give Get Go, which Transform Lives collaborates on with a group of housing organisations. 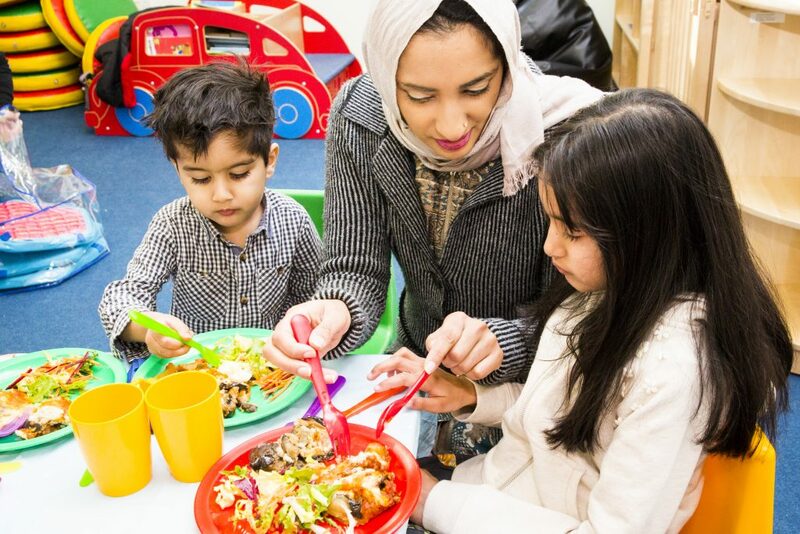 The initiative supports social housing tenants into work – connecting unemployed people to employers through volunteering and mentoring, growing skills and confidence and creating jobs. Key to the project’s success is bringing civic institutions and leaders together for the first time to work collaboratively in Liverpool, including the University of Liverpool, Everton FC and the National Trust. 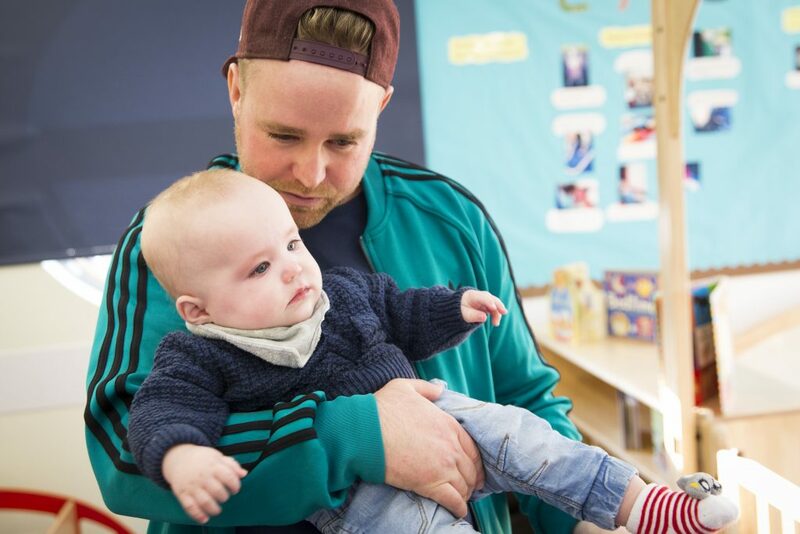 We also work with Plus Dane Housing on its Waves of Hope Big Lottery programme, which aims to tackle homelessness and other complex barriers to work. In just two years, the project has supported 236 people, 83% of whom say their rough sleeping has been reduced. And 67% report a reduction in substance misuse. Both Plus Dane Housing and our other partner, the University of Liverpool, will be showcasing this work at the People’s Powerhouse, underlining the difference we can make when we find good ways of working collaboratively and locally. Our hope is that we will build a long-term movement for change that supports good and inclusive growth in the North with a particular focus on how people are the key to growth. The aim is to include all sectors and sections of the community, harnessing the combined skills and leverage of the public sector, voluntary, community, civic leaders and business. * The People’s Powerhouse event takes place on Wednesday 12 July from 10am-4pm at Doncaster Rovers Football Ground. For more information and to register see the website. Discounts are available including for young people and for small enterprises and charities. 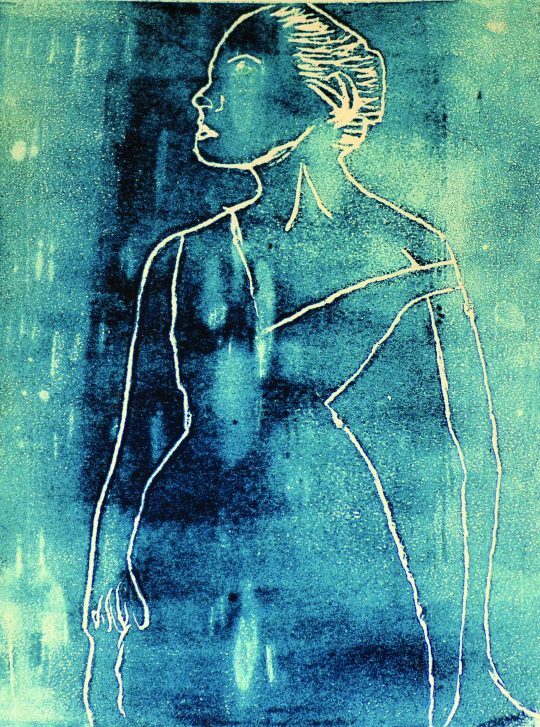 Blue Figure, print, by Tendai from Feltham youth offender institution. Leafy and affluent are default shorthands when describing the English county of Surrey, but the council ward of Westborough, Guildford, has the highest number of young people who are not in education, employment or training (NEET) in the county. Child poverty is high in Westborough, and around a quarter of all female prisoners in the UK are in custody in Surrey, including a number of lifers at HMP Send. While the cash-strapped Tory-run council recently grabbed headlines with a threat to raise council tax by a huge 15% , this has done little to shed light on the social needs that exist in Surrey. The issue of how Surrey’s general wealth hides specific pockets of deprivation is outlined in a new report into the social and community impact of Watts Gallery Artists’ Village (WGAV), in Compton, about a 10 minute drive from Westborough. The gallery, opened in 1904 and dedicated to the work of Victorian artist George Frederic Watts, aims to transform lives through art – “Art for All” (Barack Obama, among others, has cited Watts as an inspiration). 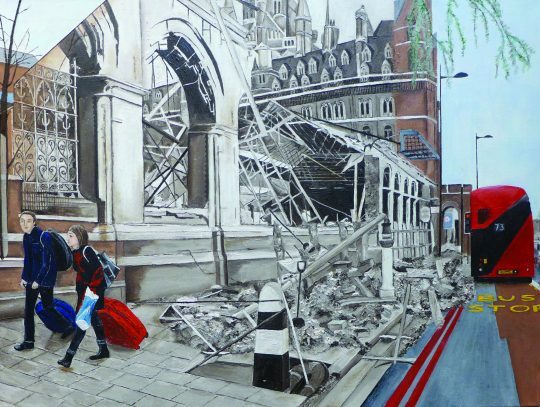 The report, Art for All: Inspiring, Learning and Transforming at Watts Gallery – Artists’ Village, describes the overlooked needs. It underlines the organisation’s role, for example, running artist-led workshops with prisoners and young offenders – I’m sharing some of the works here – as well as community projects, schools and and youth organisations. The Journey, water-based oil on canvas, by Dena from HMP Send. There are, as the report states, six prisons situated within 25 miles of the gallery, including two for young offenders and two for women. More than 420 prisoners and young offenders took part in workshops over the least year and WGAV has had an artist in residence at HMP Send for over 10 years. 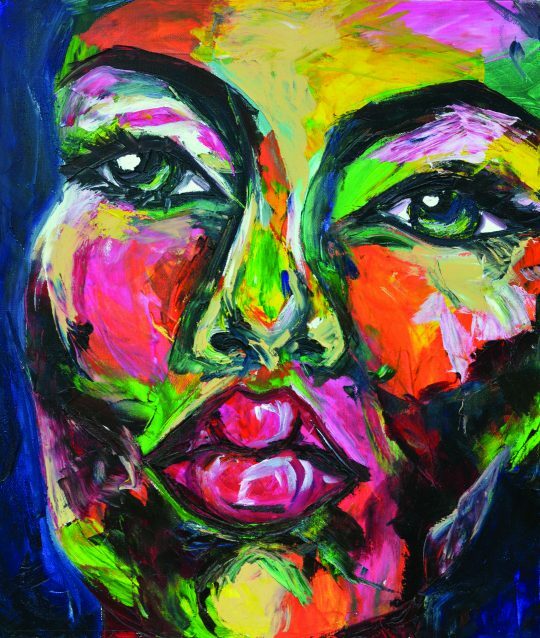 Close Up, oil on canvas by Samantha from HMP Send, part of Watts Gallery’s community outreach work. The report has been commissioned by Watts Gallery Trust and written by Helen Bowcock, a philanthropist and donor to WGAV and, as such, a “critical friend”. Bowcock argues that, despite the impression of affluence, Watts Gallery – Artists’ Village “is located in an area that receives significantly less public funding per capita than other areas of the UK”. The argument is that local arts provision in Surrey depends more on the charity and community sectors and voluntary income than it does elsewhere in the country (the concept that philanthropy, volunteering and so-called “big society” – RIP – only works in wealthy areas is something I wrote about in this piece a few years ago). 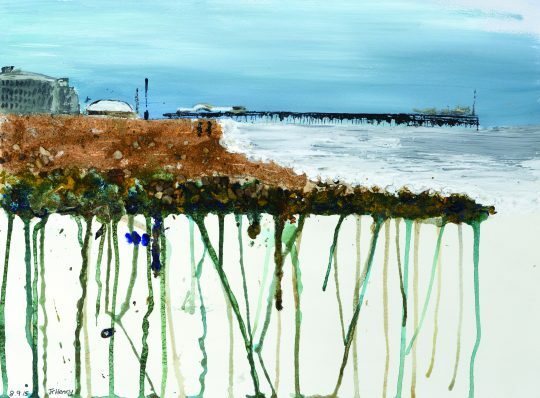 Brighton, mixed media on paper, by Jenny from HMP Send. More information on the gallery’s community engagement and outreach programme is here. I spoke to older people like Val, Rene and Jane, who live in sheltered housing on the south coast, for a piece in the Guardian this morning; the comment above reflects how the kind of housing they live in has changed radically in recent decades. Rene spoke to me about the shock felt by residents as support services are cut, their criticism of government and the need to rally round and adapt (with peer-to-peer support, for example) as help is scaled back. Over 20 years ago, for example, the Worthing Homes sheltered complex I visited had housing staff onsite who ran activities. Now, thanks to years of government cutbacks to sheltered housing support, there are three frontline staff rotating across up to 2,000 homes in the region, depending on need, and drop-in sessions run by external experts. 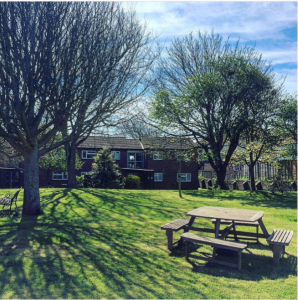 General sheltered housing, like that run by Worthing Homes, offers low-level support and self-contained accommodation for low income people aged 55 or older. Benefits include greater independence and less reliance on health and social care. But this kind of housing has suffered thanks to historic and widespread cuts to the supporting people fund (the national programme for housing related support available to councils). Now, it is at further risk. The government was forced last year to defer its unpopular decision to impose a cap on housing benefit to supported housing; the proposal was included in a recent government consultation and is due to covered in a forthcoming green paper. Campaigners including the National Housing Federation (NHF) have been challenging the funding plans, with Age UK warning of “uncertainty about the future of sheltered housing in the social rented sector”. Residents’ concerns over the loss of on site staff in sheltered housing are well documented, but years of central and local government cuts mean that it is now the norm for on-site staff to be axed in favour of telecare and floating support (short-term help with specific problems like benefits). 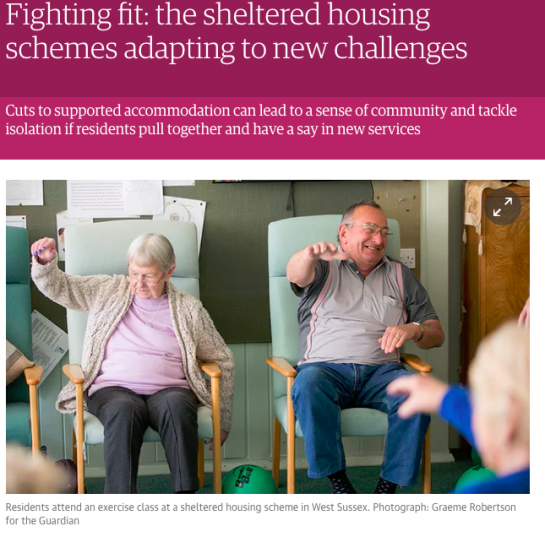 There are no precise figures, but a 2012 review by Joseph Rowntree Foundation noted that as far back as 2009, local authorities estimated that by 2011, 38% of sheltered housing would have floating support, not on-site provision. The approach in the Worthing region, an area known for its high proportion of older people, underlines the value of sheltered housing as the population ages, and mirrors similar moves across the country. Communal garden, Pearson’s Court sheltered housing scheme in Worthing, West Sussex. Simon Anderson, Worthing Homes head of customer services, says the landlord and residents have tried to work together since the council funding cut: “We were asked to do much more work for less money…but ultimately this is a housing provider and its residents coming together [through agreeing new initiatives] at a time of austerity”. A 2012 Age UK report, Making it Work for Us [pdf] suggests “listening and responding to the views of residents should be fundamental in shaping what sheltered and retirement housing offers”. Simon explains: “Some people who moved in when there was someone [staff] here all the time…Now they’ll be thinking ‘I didn’t sign up for this’…So in conjunction with them, we began discussions on what the future service would look like. Social isolation was a significant issue for many”. Around 49% of disabled people in the UK aged 16–64 are in work, compared with 81% of non-disabled people, according to government figures. The government has said it wants to narrow this gap (the figure has remained the same for decades) but at the same time its various policies and cuts relating to disabled people undermine this aim. A recent government green paper on work, health and employment, proposes to help at least 1 million disabled people into work, but has met with a lukewarm response from campaigners. 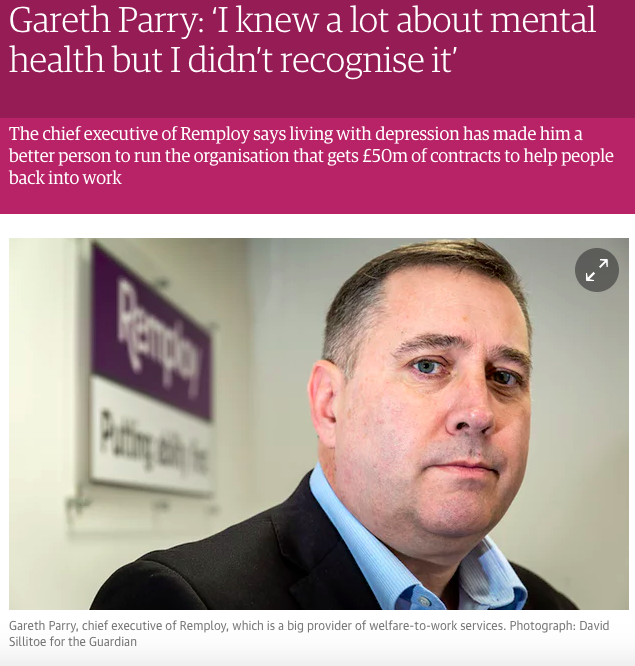 This was the context to a recent interview with Gareth Parry, the chief executive of employment organisation Remploy, which has £50m of contracts from central and local government to help disabled people get jobs or support them back into work. Parry, who worked his way up Remploy after starting as a trainee almost 30 years ago, has depression, something that he says gives him a more personal insight into his job running employment support organisation (“It reinforced the importance of organisations like Remploy; work gave me routine, structure, focus, when everything else in my life was in chaos”). He is a forthright speaker about how his personal experience influences his role at the helm of an organisation aiming to support people with mental health issues; he wants more senior executives to be open about mental ill-health, for example. The organisation, however, has its critics. While Remploy was launched by the postwar government in 1945 to give disabled second world war veterans sheltered employment, the last factories closed in 2013 in line with the idea that mainstream employment was preferable to segregated jobs. Yet many felt the closures abandoned disadvantaged people. More recently, in April 2015, Remploy was outsourced to a joint venture between US-born international outsourcing giant Maximus – which has come under fire as the provider of the Department for Work and Pensions’ controversial “fit for work” tests – and Remploy’s employees, who have a 30% stake in the business. Critics say that being owned by Maximus undermines Remploy’s status as a champion of disabled people. Longer term, Parry believes Remploy could take on international work, like advising other countries on closing sheltered factories. He adds: “Our mission around equality in the workplace has always been and is within the confines of the UK, but if we want to make a real difference in society in the UK, the opportunity we have now is to say ‘why stop there?’” Future issues in employment support, he adds, include sustaining an ageing workforce, with help for issues like dementia in the workplace and other age-related conditions. In terms of other changes, Parry’s words on the rise of online support (as opposed to face to face advice) reflect a general trend towards more online and digital support: “I’m not suggesting online will replace face-to-face services, but the idea of giving the power of choice to the individual as to how they access services is meaningful”. Remploy is almost unrecognisable in terms of its remit, ownership structure and operations since its inception more than 70 years ago; as the government and local government contracts on which it once relied are dwindling, it will be interesting to see where the next few years take Remploy – and, most importantly, those it helps. 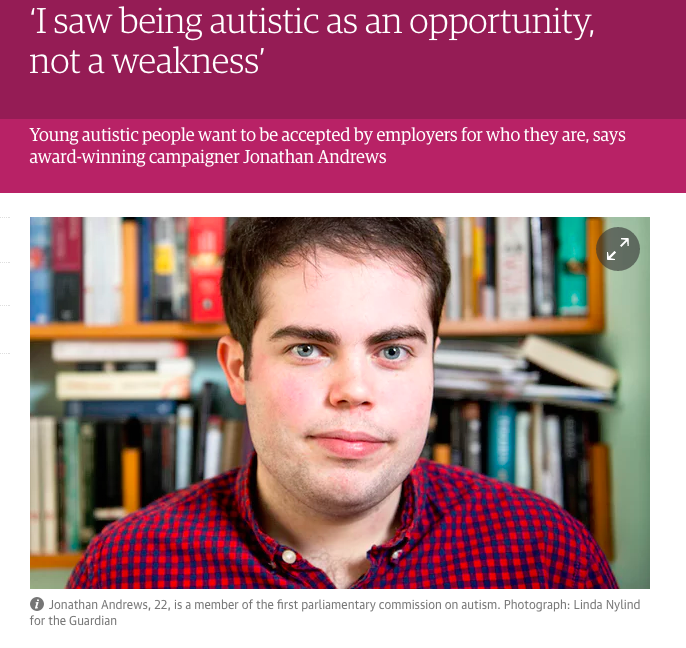 Jonathan Andrews was once advised to hide his autism from prospective employers. Instead, he is making his name by doing just the opposite. The 22-year-old recently won campaigner of the year at the European Diversity Awards 2016 and talked to me about his work for a Guardian interview. He’s involved in a plethora of awareness-raising projects, including sitting on the first parliamentary commission on autism. He also advised the government on its green paper on work, health and employment, which is out to consultation until later this month. The graduate, who is an academic high-flyer, starts a trainee solicitor role later this year. He believes a law career will enable him to create practical change, but says combining law with campaigning is crucial. As he explains: “There is only so far legislation can go…you need to be winning hearts and minds to get change.” For his views on work and disability, see the full interview here. What struck me about Jonathan’s work – aside from the huge amount of awareness-raising at such a young age – is that he works on a range of diversity issues; along with autism, he raises awareness of mental health issues and LGBT equality. For example, he’s launching a best practice autism toolkit with the Commonwealth disability working group in April and hosting a related Commonwealth Day event in March. In fact, his broad range of campaigning interests reflects the change in attitudes which he is trying to achieve through his work: “People often think with autism you have to be interested in one thing and this means that you are great in one area and terrible at everything else.